Very simply, our mission is to teach and share with clients a very profitable and consistently successful approach to market investing that the average American can actually learn and apply in his or her investment account. This investing approach is very conservative in its mission and implementation and is a skill-set that can be taught and practiced successfully by regular folks. It is an approach to trading stocks that is simple and straightforward. It does however require learning the basic skills that experienced trade-desk investors practice as professional money managers. The learning process is rigorous yet well worth the effort. 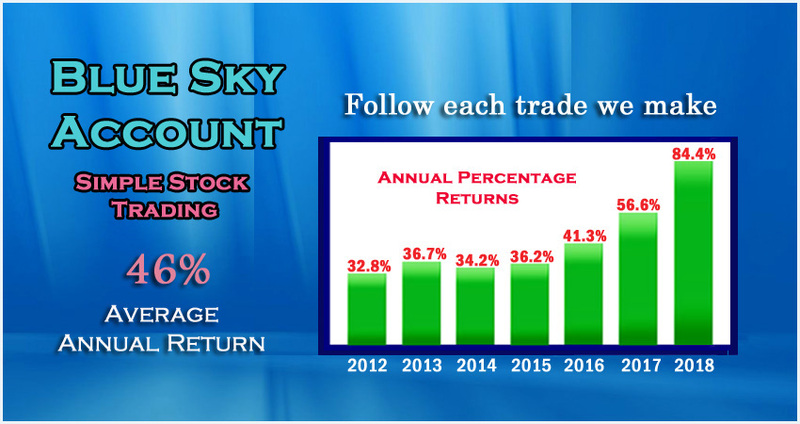 The results of our sample trading account below speak for themselves. 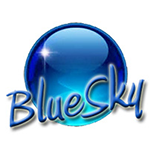 Our return objective for the BlueSky Account is a 30%-50% annual return on investment(ROI) and we have achieved this goal each year. Realizing outstanding annual rates of return is a very attainable goal, all while employing a very conservative risk adverse approach that does not use margin. Further, the IRS considers this investment approach to be conservative and allows it to be employed in IRA accounts. Consistently achieving these results, year in and year out, is also attainable and our clients learn and practice this skill. Learn to manage your own money... it can make a world of difference. Master these trade-desk skills before investing in the market!